This book examines the politics of the relationships between multilateral organizations that have come to play a major role in contemporary efforts to manage international security. Drawing on concepts developed in Organizational Studies, the book starts from the assumption that inter-organizational relationships are the product of contested politics. Politics that may be either more cooperative or more competitive, but which always contains elements of both. This volume focuses on inter-organizational relations emanating from, through and towards the regional scale. The proliferation in the number of regional multilateral organizations in recent decades and their growing claims to represent effective and legitimate frameworks to address security threats and issues has been widely noted. The book is organized into four sections, covering all aspects of the inter-organizational relationships in which regional multilateral organizations are involved: global-regional, intra-regional, inter-regional, and multi-scalar. 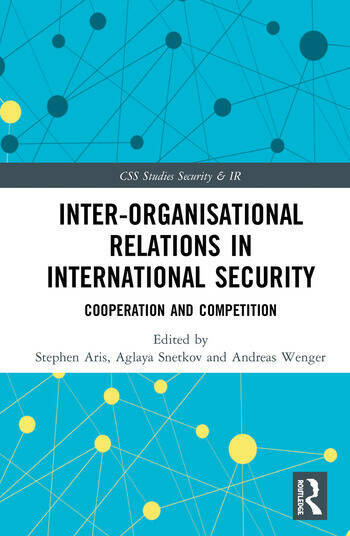 Each chapter addresses a distinct case study of inter-organizational relations (bilateral, trilateral or wider network), and examines the politics shaping these relations. This book will be of much interest to students of international security, international organizations, global governance and area studies, more generally. Stephen Aris is Senior Researcher at the Center for Security Studies, ETH Zurich, Switzerland. Aglaya Snetkov is Senior Researcher at the Center for Security Studies, ETH Zurich, Switzerland. Andreas Wenger is Professor and Director at the Center for Security Studies, ETH Zurich, Switzerland.